I’ve teamed up with brand new sports nutrition website MET-Rx to bring you this incredible protein-packed prize for one lucky winner! The new website offers a huge range of sports nutrition, health and wellbeing products, and you could be amongst the first to try full sized versions of some of their best selling products. This incredible package is worth over £150 and one lucky Blog reader could win it all! 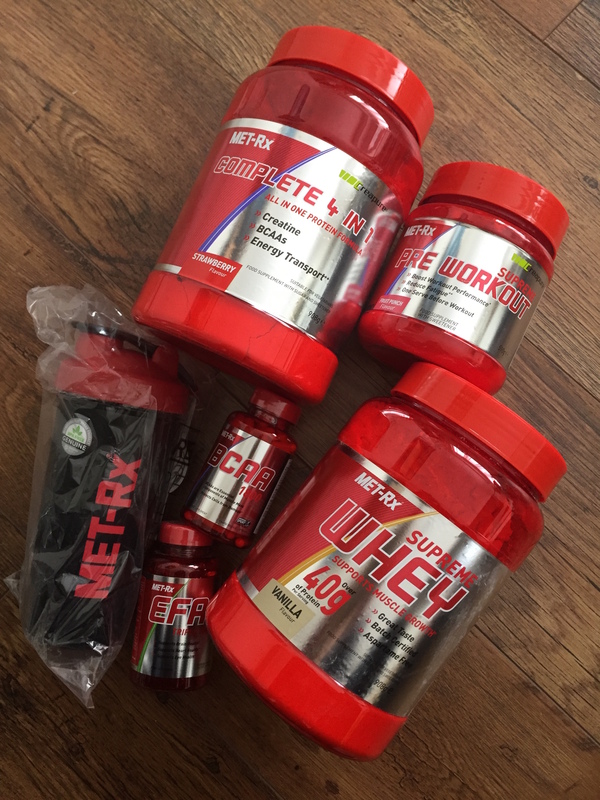 All you have to do to enter is Subscribe to the Wildcat Blog by using the form below (providing your name and email address, which will NEVER be passed onto a third party) and you could win this incredible prize courtesy of the brand new MET-Rx website. The competition is open to UK Residents only and the deadline for entries is 12pm midnight (UK time) on Sunday 8th May. Good Luck and don’t forget to check out the MET-Rx site and the huge range of amazing products, proteins, food and supplements. Drinking protein after exercise is a great way to build muscle and repair any damage, Great stuff!